For Father’s Day, I was given the whole day to metal detect. I started my hunt at a tear out at Planeview park. 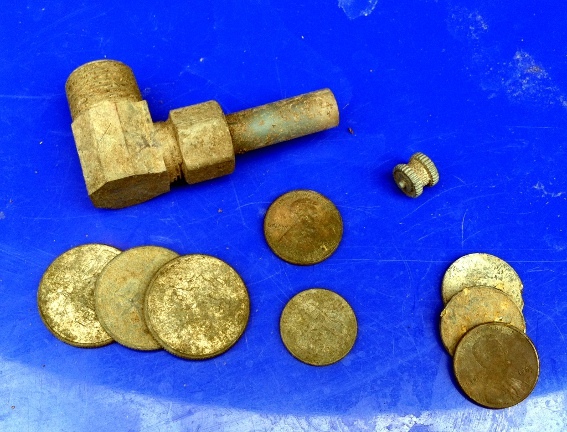 All I got there were four wheats but one was a 1912 S. Throughout my hunting day, I kept running into people from the Friendly Metal Detecting Forum. It seemed everyone was finding silver today! Eventually, I got a call from Patton (also from the FMDF) and we hit several parks with little success. We finished the day at a spot both of us have hunted. Almost as soon as we got there, the police showed up. After a brief exchange with the officer lady, she told us it was cool for us to hunt, wished us good luck, and left. After a couple of hours of finding only clad, I wanted to call it quits but Patton was of the opinion that if we had the blessing of the beat officer, we should make the most of it. What he said made sense so I agreed to hunt some more and boy! am I glad I did. 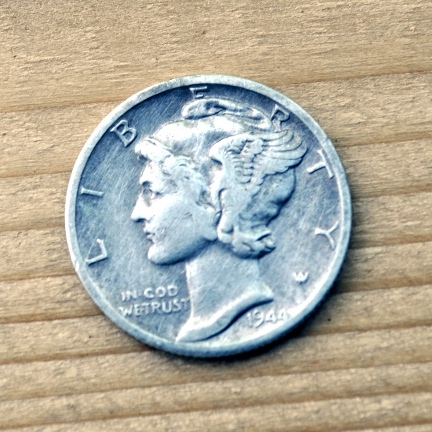 Soon after we resumed our hunt, Patton struck silver in the form of a beautiful silver quarter. He followed that with a silver Rosie. My efforts netted me a 1944 Mercury dime. I worked really hard for this! Eventually it was just too hot and we were too dehydrated to continue. We drove to the nearest QuickTrip to rehydrate and we both went home. I started my hunt with my trusty AT Pro but I found the Merc with Big Bertha. Despite all, the V3i is a powerful flagship detector. I began to remember all the things I learned to do with it for maximum performance and it did its job well today. I think I will hunt more with it in the coming months so I can be ready for the Chisholm Trail Hunt in September. Given that my AT Pro is pretty awesome already, you may wonder why I bought a White’s V3i. The answer is, I was going for greater depth. If I can gain an inch of depth on a silver dime, I will be supremely happy. As it turns out, I may gain more than an inch but I am going to have to really become familiar with the arsenal of tools available in the V3i. Two very cool things I can do with the V3i that I cannot do with my AT Pro are the ability to read the mineralization in the ground (Ground Probe) and the actual signal strength given the conditions of the ground. Once you know those two things, you can configure the V3i accordingly. Those are the kinds of things that will allow me to squeeze just a little more depth out of my machine. 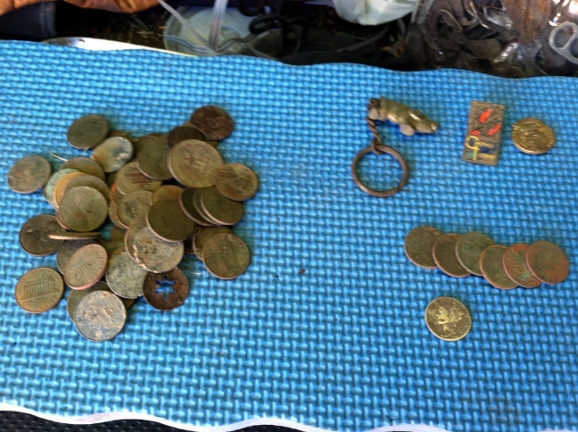 Meanwhile, just in factory default mode, I was able to detect coins sitting right next to iron. Really cool!